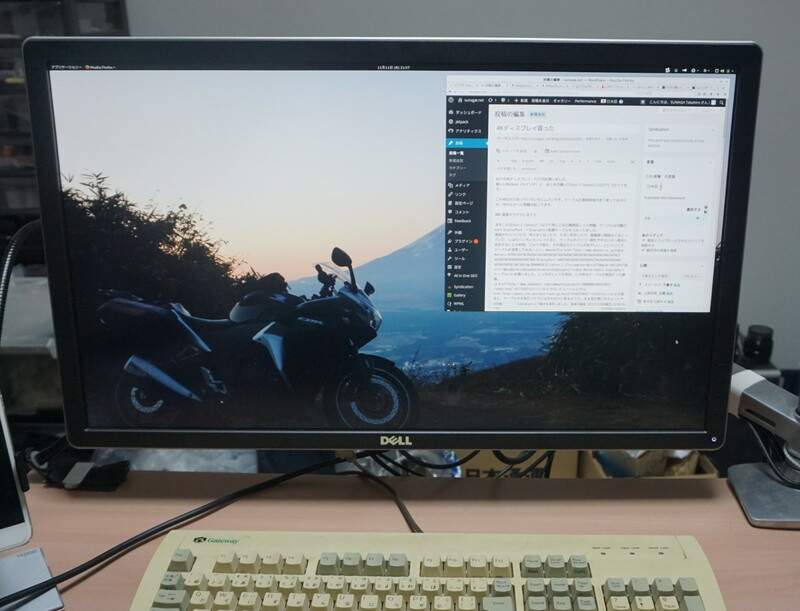 I bought Dell 4K Display P2715Q. I’m using with New Macbook (12 inch) and Vaio Z Canvas. It is difficult to set up. Many problems had happen. It might be because of large bandwidth usage. This problem had happened when connected with Vaio Z Canvas. The cable connecting was the cable which converts mini DisplayPort into DisplayPort. Sometimes screen flickering happend, sometimes it became blank screen. Sometimes becomes stable. They happened in any resolution mode. I noticed that it became stable when putting up the cable little bit. I think connectors or cable around connecter had broken, so I purchased new cable. I bought Cable Matter’s mini DP to mini DP cable from Amazon. My display became very stable when using this cable. This flickering problem was caused my the included cable. This problem was also happend when using with Vaio Z. Sometimes I could not select 4K resolution mode. Or sometimes become unstable when select 4K. This problem caused by combination of Vaio Z Canvas and Windows 10. I updated my BIOS Firmware at Vaio’s site (BIOS R1090VE Windows 8.1/Windows 10アップグレード用） then this problem had dissapeared. This problem was rarely happened. This combination was almost stable. But sometimes white screen flickering happened repeatedly (about 30 seconds period). This was because of 7m long HDMI cable which I used. I had shorter (2m) cable, so I switched cable to it, then this problem had dissapeared. I cannot see any 4K60p contents smoothly. I had not any PC’s which could play 4K60p movies. My Vaio Z Canvas could not too. Dissapointed. I’m using this display with Linux on Vaio Z Canvas, no problem happens after installing BIOS update firmware. I could use as 4K 60Hz with Gnome3 normally. I had used 2K Dell monitor. New 4K display is lighter than my old display. My display arm became able to move up and keep. Light thing is good. Also USB 3.0 Hub functionality is a little bit useful. Good. How did you manage to make the two “L” and “R” buttons work on your Vaio Z Canvas? They cannot seem to do anything on my Arch Linux.